Most organizations reach a point where they need to get really specific about what traits make leaders successful in their organization. Sometimes organizations get lucky and promote the right people from staff positions into supervisory roles and these people are successful leaders. But many times, the wrong person gets promoted, and this is because they focus more on the person’s success in their current role and less on what the expected behaviors are for leaders and whether this person has demonstrated their ability to exercise them. This month’s success story shares our recent work with a company that came to that conclusion. Aim Transportation Solutions is the largest, privately owned truck leasing company in North America. 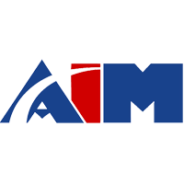 Aim Leasing Company was founded in 1982 as an affiliate of McNicholas Transportation who was, at that time, the largest steel hauler east of the Mississippi. Their initial goal was to purchase and maintain equipment for companies that didn’t have internal logistics capabilities. Since then, they have achieved steady growth and are now considered the largest, privately owned truck leasing company in North America. Like many growing business, identifying and promoting the right people into the critical middle management role was something Aim struggled with. Their people are truly passionate about solving their customers’ problems, but this passion does not necessarily mean that these employees would be good leaders. What Aim wanted to do was develop tools and processes to identify potential leaders in a consistent manner, in order to increase newly-promoted supervisors’ success, and continue to enhance their ability to solve customers’ problems. We knew that by implementing a process to identify potential leaders in a consistent fashion would greatly enhance our succession planning efforts. We are a growing company in a very dynamic industry…we need to make sure we have the right people in the right place and trained the right way for our customers. This is especially true for anyone with the great responsibility for leading people. We connected with OA based on their experience helping companies implement leadership development programs. They have a solid methodology for identifying leadership competencies, defining them, and helping organizations integrate them into their succession planning process. They started by meeting with our management team and high potential employees. Using the information they collected, they were able to develop a chart that states our competencies and describes what they mean, both at the staff level and manager level. Then they helped us implement this by assessing our current staff so we could identify opportunities for leadership development and become more focused on helping those who are struggling. Now that we have a solid understanding of what our employees’ strengths and opportunities are, we can develop and implement targeted training and development activities focused on reinforcing where they are strong and helping them where they have challenges. This approach ensures our people are getting the help that benefits them in their career and that our resources are devoted to activities that have a direct link to what we want to achieve. Not only will this work help with our succession planning and employee development work, it will help with our recruitment, performance management, and coaching efforts. OA’s work has given us a roadmap to help us make our managers even better. One of the most critical roles in an organization is front-line management. Haphazardly promoting people who may or may not be successful hurts your organization and doesn’t help your customers. Having a solid process for qualifying leaders will put you ahead of your competition. If you need assistance with your succession planning, training and development, or other HR consulting needs, contact us and check out our blog for more resources.